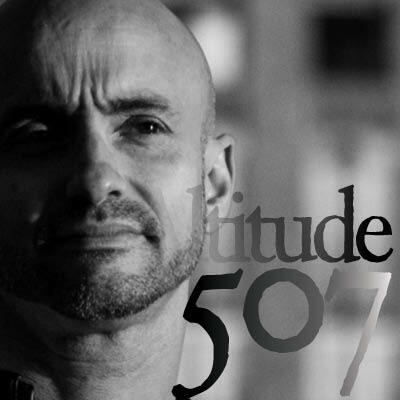 This episode Severity braved the chilly mountain air to come to the Altitude 507 studio and drop a fantastic guest mix of all his own original productions (and a couple of his own remixes). Brazilian by birth, Severity is a familiar presence beind the decks at Sydney’s drum&bass parties, and his productions (which are mostly on the melodic, liquid side) have gone from strength to strength. Keep an ear out for his track ‘The Journey’ featuring MC Astro, forthcoming on Liquid V – the first time he’s played it is on this podcast episode – as well two tracks forthcoming on Unchained, ‘Broken Hearted’ and ‘Fakeworld’ – the latter the last track of the mix, which demonstrates a new direction for his sound, branching out into footwork-inspired territory. As always, there’s also plenty of jazz, soul, dub techno and reggae, some of which are also local productions (as part of the local spotlight segment) – as well as four key tracks Severity picked out as formative in his own musical journey. And – another exclusive – Kobra Kai‘s ‘Push’, forthcoming on Inna RIddim. Get it on your headphones!